Natural turf surfaces are designed to suit the level, type and quantity of use and to take into account the prevailing ground conditions of the site. Good drainage is an essential element of all surfaces and can range from no specific drainage in free draining areas, take advantage of piped systems with or without slit drains in less pervious areas, through to full suspended water tables in non porous areas or for high quality play areas. Cultivation is an essential part of a good grass playing surface. Existing soils can be worked to achieve the desired tilth or special root zone materials can be imported to provide the very best rooting medium. 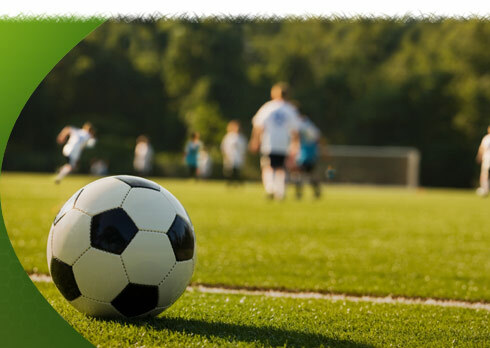 Grass cover can be provided by the selection of sports specific seed mixes or the importation of purpose grown turf developed under ideal and controlled conditions. Watering facilities are often required either temporarily for establishment purposes or longer term to maintain required performance standards. Annual maintenance requirements vary for each natural turf pitch and are determined to suit the sports played and seasonal requirements.